The mission is a simple one. Master all the skills required to become a Full-Stack Developer in less than six weeks. Mission impossible? I don’t think so! I’ve put together for you the resources required to complete this mission. I’ve completed multiple applications and launched countless SaaS, Games, Apps, Desktop apps, IOT, Machine to Machine API’s, the list goes on and on. Once the dust settled, what did each of these applications have in common? I’m going to take you behind the scenes and show you everything that you need to know from a-z and leave nothing out. No fluff or filler content, just the information that you need to know to transform into a Full-Stack Developer, get the skills to work on your idea or launch your own Tech Startup. I will guide you through the process of starting from nothing (not being able to write a single line of code) and taking you all the way to becoming a Full-Stack Developer in less than six weeks. You will be able to ask me any questions and get them answered within 48 hours. Now for a small window of time, I'm allowing new students to enroll in the MEAN Stack Course where you will learn how to become a Full-Stack developer from scratch no programming experience required. I will be your personal guide to take you through my unique process of learning all the skills you will need to become a competent Full-Stack Developer that can create just about anything. You will cut wasted effort from traditional learning and get to your goal that much faster. Once you complete the training you will not only be a better person but you will have transformed into so much more and you will start to make a positive difference in people's lives with the Software that you will soon be creating. Below you will find all the details about what you will learn inside the course. Take a few minutes to read each section and I will see you inside. This week lays the foundation for everything else in the course. Before you start to learn each of the parts of the MEAN Stack it's a good idea to understand if the MEAN Stack is what you actually need. You will learn the skills that are required to pick up just about any new modern development framework in a couple of hours instead of months. Most of your projects will first start with this principles in mind, allowing you to focus more on the problem you are solving and less on the technology you are using. 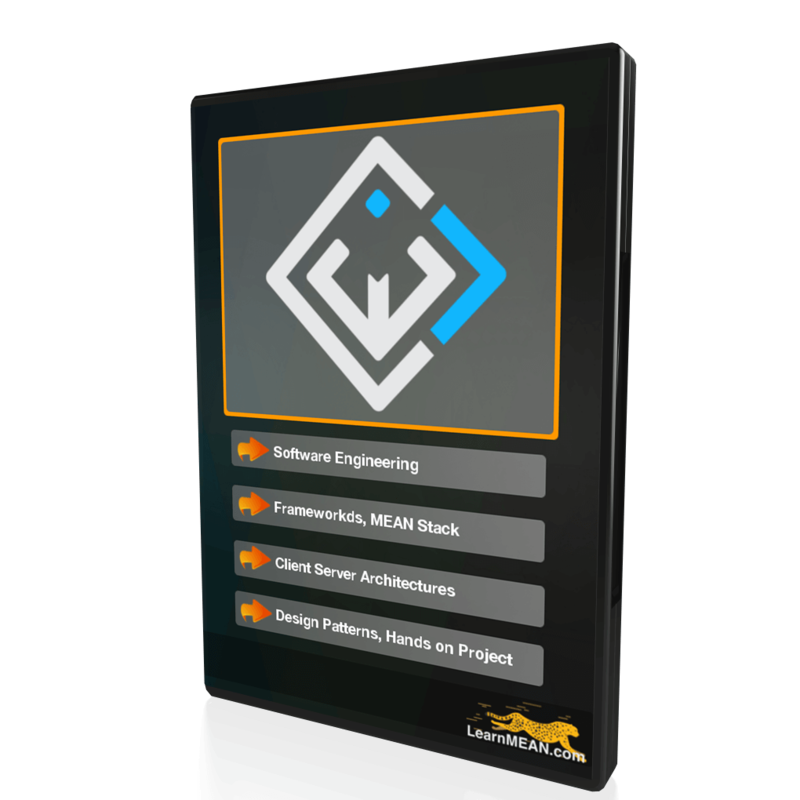 You will find out how to get started with Software Engineering. I will show you how programming is NOT Software Engineering and Software Engineering is not programming. You will see real world examples of Code of ethics, and understand what a Software Engineer does day to day. Understand the difference between a library and a framework, learn how to decide to use or not to use a framework and see how a framework can boost your productivity by 10x fold. Why learn the MEAN Stack? Is it right for you? Does it scale? What are the licensing restrictions? In this lesson, you will learn about why and when you need to use the MEAN Stack. The client server architecture allows you to create an application that can be used by infinitely many devices. Mobile, internet of things, web, native systems etc. You will see exactly how this pattern is used to accept requests and how you can create a response back to the client. If you are creating a native driver or an app that helps others find the nearest source of clean water both require you to know CRUD. Find out the basics of using Create, Read, Update and Delete. You do not have to reinvent the wheel every time you start a new project. Learn about the Model View Controller design pattern to create robust well-tested code. Learn about how you can use the Singleton Pattern to keep all of your objects restricted from being instantiated. This will play a major part once we start working with external objects inside your controllers. Should you be using babel? what about JSX? or should you just learn the new syntax for ES6 and not even be worried about ES7? 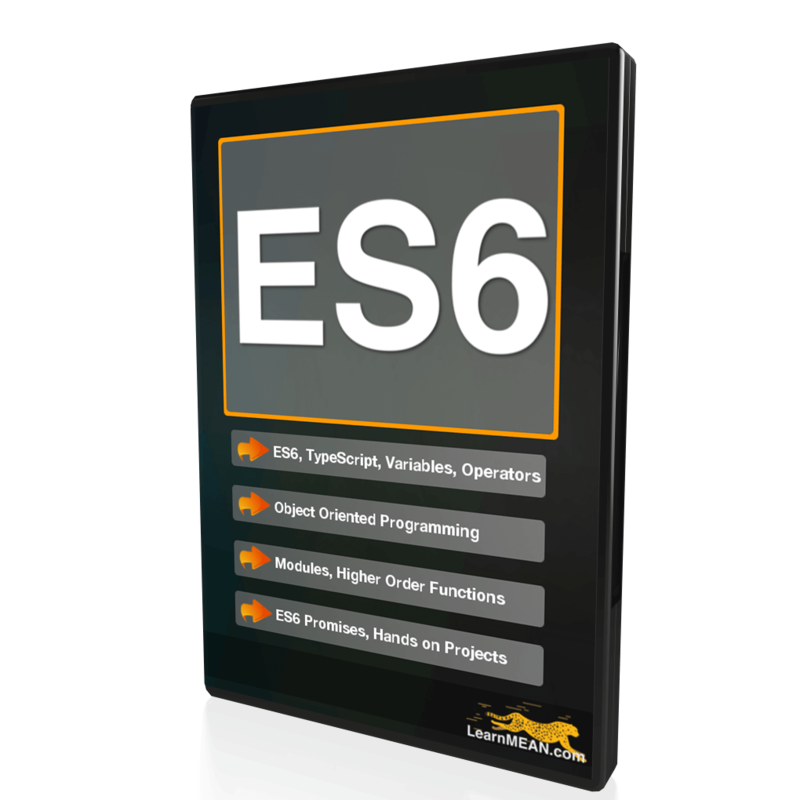 Before you move onto ES6 and beyond you will need to let go of ES5. Everyone experiences the loss of someone or something differently you will learn how to let go of ES5 and welcome ES6. ES6 is great but TypeScript is even better. Start building robust code that can scale. You will learn all about the benefits that TypeScript provides for Strong Types and the downfall of ES6. You will setup TypeScript, look at the Command Line interface, see how versioning works, look into config files, watch for live changes, and transpile ES6 to ES5. Find out about the new changes to the keyword var. Learn when and where you need to use the new keywords let, and const. Master all of the new ES6 operators available to you, for example Destructuring, Spread, and Rest operators. You will see old ES5 examples converted to ES6 step-by-step. Now more than ever the OOP principles are being put to use with ES6. Specifically with classes to achieve true abstraction with encapsulated modules that can be inherited or polymorphed to get the right type of behavior. Modules in ES6 bring a new syntax and a new way to import existing modules. You will learn to make sense of modules by learning AMD, CommonJS and ES6 modules. If you are building a REST API, a large scale application that's distributed across a cluster of machines, or if you just want to have a clean interface to deal with native C++ code Node can take care of all of this for you. We will cover the basics of node by creating a simple application and understanding how the runtime interacts with the native operating system. See how you can leverage over 250,000+ pre-built packages with npm. You will explore versioning of modules, understanding the package.json file, and how to manage your own packages using the command line tool. If you are new to JSON or come with a background of SOAP or XML you will find it refreshing how easy it is to work with JSON. I will cover how to generate JSON code with all the different data types available to you. 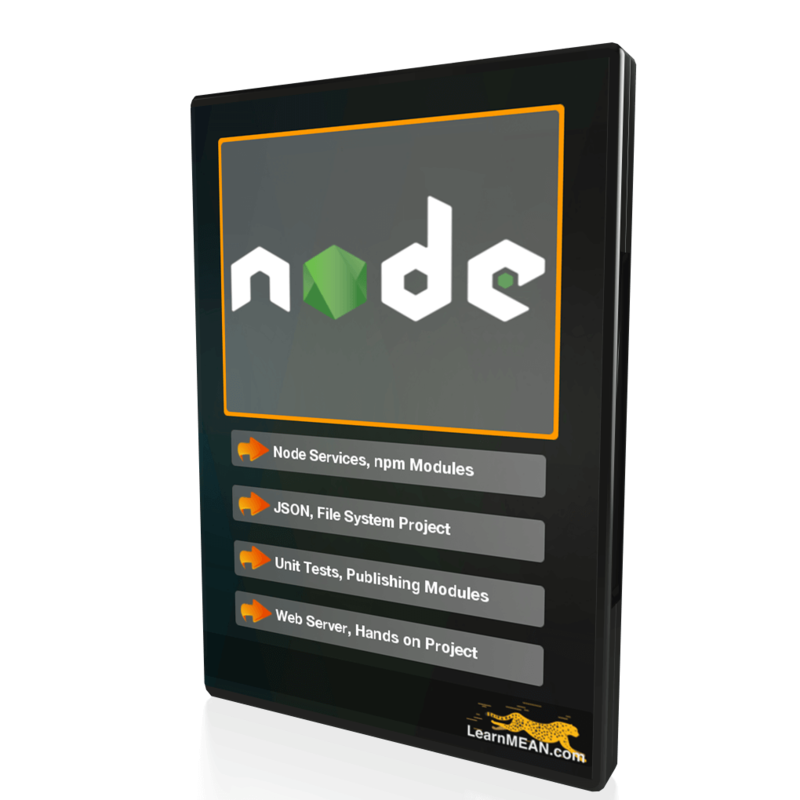 Node.js provides you the ability to write out files to the operating system. You will learn how to read in files and how to write out files. You will learn how to work with basic .json files and create a module from scratch that will do all of this operations. Anyone can publish a module to npm it just takes a couple of steps, I will show you step-by-step how to patch, and publish modules to npm. Before you start using an abstraction to Node.js such as Express.js it's a good idea to understand how Node.js works as a web server. You will create a simple web server that will serve JSON. Express.js is a well-tested library that takes care of all the low-level Node.js code that's necessary to accept connections, and handle routing to your controllers. 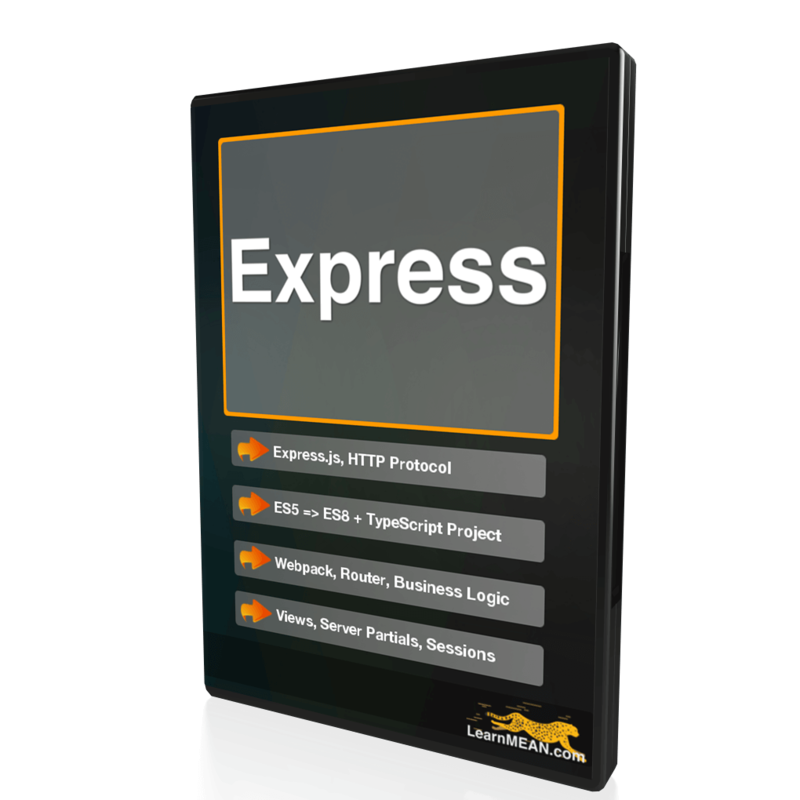 Express.js can be used to render server side HTML pages, single page apps, or a RESTful API. 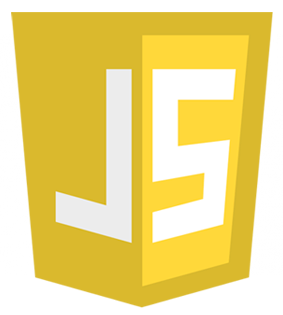 Learn all the new features that Express.js 4+ provides for you. You will be exploring how you can create robust routing solutions for high-performance applications. Software development is all about not having to reinvent the wheel every single time you start a new project, you will learn about Express which takes care of all of this low-level implementations of the http module. You will see examples of Web and Server applications. The HTTP protocol provides you the ability to receive data and answer back. You will learn how to make sense of this protocol from scratch by understanding HTTP methods, and Status Codes. You will use the Express Generator to scaffold an Express application and convert that ES5 application into an ES6 + TypeScript application. Introduction to Webpack, you will setup Webpack this modern module bundler to transpile TypeScript code into ES5 and bundle up all of our files into one large executable file and watch for changes. Find out how Express cleanly handles routes. You will be taking a look at route parameters, sub routes, and outputting JSON for API endpoints. You will learn how to abstract out your business logic to controllers, handle unwanted behavior with the built in error handlers, and import modules to your express routes. We will generate server side code with EJS, export out values from your controllers and routes to your views and render clean HTML code. Use conditionals inside your templates to output dynamic partials to a view. You will create multiple partials and render out dynamic templates that include dynamic values. Persisting server side sessions across a user's session is an important part of handling state in your application. You learn about cookies, servers sessions, and tokens. You will then put it all together with a coding sample. If you are new to the world of databases or if you come from a SQL or NoSQL background you might be surprised with how easy it is to work with MongoDB. Typical SQL relational databases are difficult to work with because of the tight coupling from the relational design. Your database fields change, you will want to go from an integer field to a text field without having to truncate fields and cause data migration headaches. You will learn why Companies such as PayPal, Walmart, Uber and Lyft are using MongoDB and most importantly how you can integrate it with your own applications. Learn about the benefits of a NoSQL database. I will introduce you to the concept of a database and show you how a database works both in SQL and NoSQL databases. 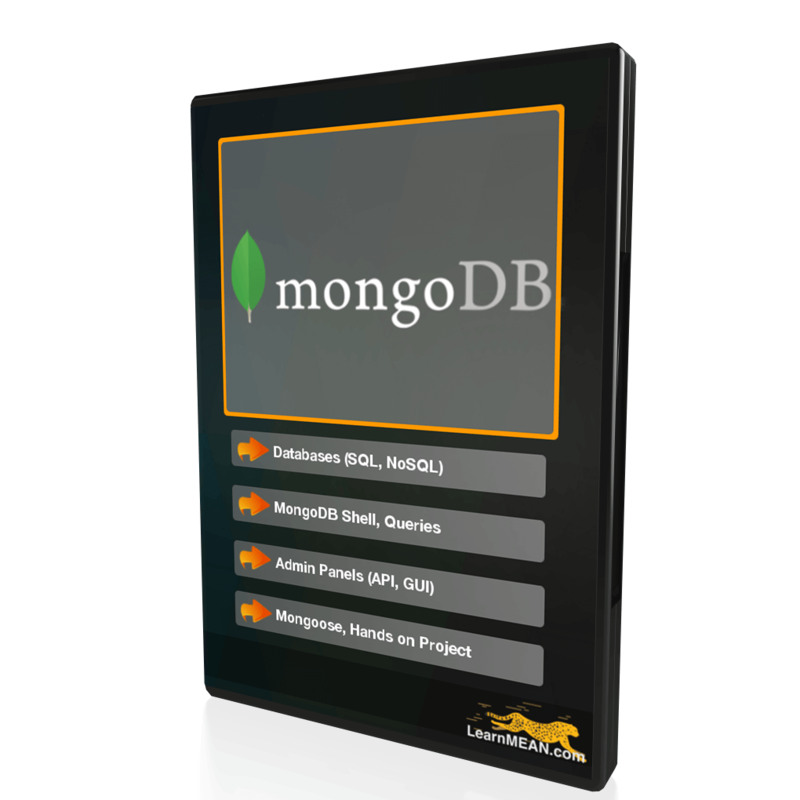 Learn exactly how MongoDB stores data. I will introduce you to concepts such as schemas, models, documents, key value pairs, JSON, sub documents, references and plugins that are available to make your development easier. I will show you how to get started with MongoDB if you are using Linux, OSX, and Windows 10. I will also show you how to understand Software License. Master how to work with MongoDB from the command line. We will take a look at some of the basic operations that you might run into such as backing up and restoring your database, or dropping collections . Understand how to quickly view all of your collections with a GUI tool during development. We will take a look at the GUI interface and API generators. Now that you have a model. We will modify that model in order to accomplish a complete CRUD(Create, Read ,Update, and Delete) on any given document. Angular 8 is a complete game changer over AngularJS. Learning to use Angular 8 as your front-facing framework is what allows you to pull together the entire MEAN Stack. 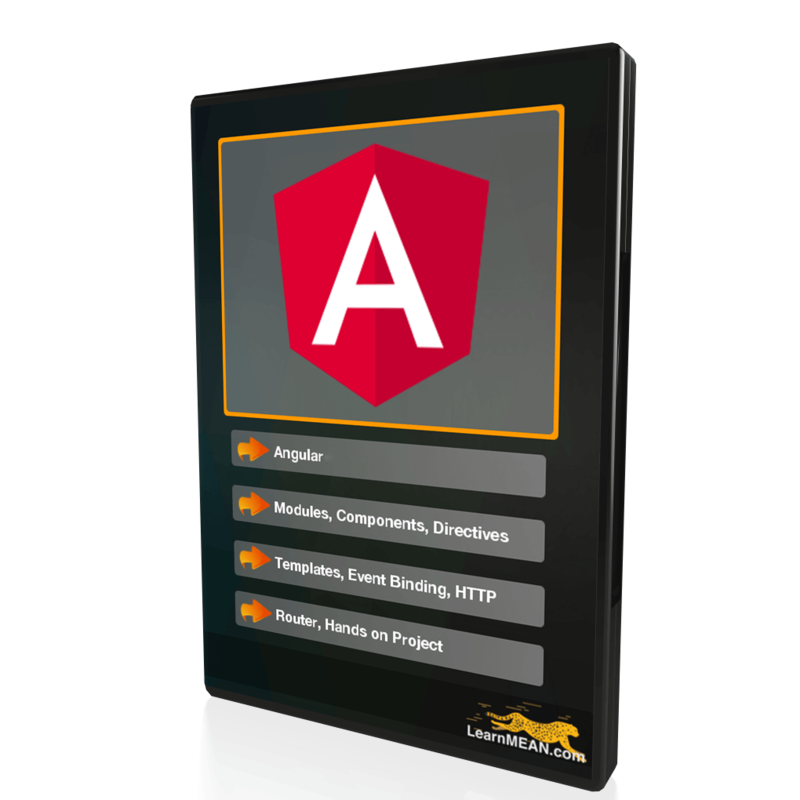 Without angular, you would be left with a great server application but nothing to show for it. Angular 8 allows you to create amazing user experiences and applications. The true value of Angular is in it's ability for you to create cross platform applications that will perform with speed in just about any device, web, mobile and desktop. We are starting the Angular 8 Training on Tuesday, April 2 and will be live each day from 10:00 - 12:00 AM MST except weekends until Tuesday, April 9th. Registration for this training closes tomorrow at 11:59 PM. Now with the upcoming release of Angular 8 there's never been a better time to learn to use Angular. It's always difficult having to learn a new tool. In this section you will say goodbye to old Angular versions and welcome Angular 8 with a warm hello. I will show you a high level overview of Angular 8 beta version. Modules are a big deal in Angular 8, you can not do anything without Modules. You will learn to see how modules use components, directives, pipes, services and external modules. Components are becoming the standard for creating web applications. Components are the building blocks for your application. You will learn how to think in components, what components are and how you can create them. Directives are one of the simpler topics in Angular 8. You will learn how to use the following directives for your own applications. *ngIf *ngFor ngSwitch and so much more. Angular's components are built up based on a template. You will learn how to define a template, and modify a template that interacts with Angular 8 built in metadata. Angular has always been about user's interactions. Data binding allows your application to interact with the user based on a user interface that handles events. We will cover one way, and two way data binding. You will see the theory about the observer pattern and learn to use Rxjs to create observables from an HTTP request. SPAs(Single Page Application) are based on having one single page that has many views. You will see how Angular implements Routes with paths and components. In this lesson, you will be putting everything together for the entire MEAN Stack from scratch and create two different build process with Webpack. It’s accessible no matter where you are in the world, as long as you have an internet connection. All lessons are pre-recorded and are offered as streamable video lessons that you can choose to watch as you please. No hard limits are set on the course. You can go as fast (2x speed) as you want or as slow as you need to. Watch any lesson as many times as you’d like! There’s no limit to the goodness. The course is constantly evolving, you will be notified of any new changes and get automatic access. Each of the lessons includes a hands-on lab, all self-contained. You can pick up any lab and complete it without relying on any other lab. Each of the applicable lessons includes complete source code examples. The resources included in the course will fill in any gaps that you might have. Feel completely safe and secure as you sign-up for the course, knowing you can get a full refund at any time, if you decide that this course isn't for you. As a new student of 2019 for a limited time you will get this three extra bonuses to help with your journey to become a Full-Stack developer when you register for the course today. 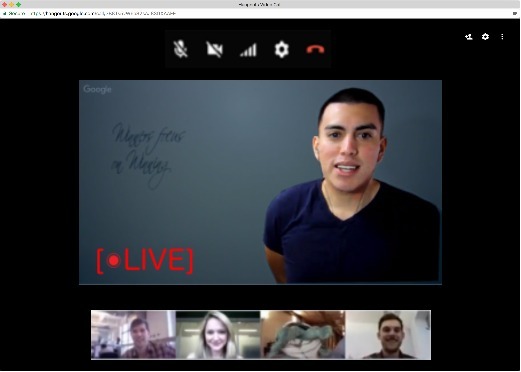 "Live calls" happen once per week where you will be able to ask questions to Rick directly. If you feel like you are getting stuck along the way or you don't understand a specific part you will be able to jump on a call and work through a problem directly with Rick. You will get a completely immersive experience and a one-of-a-kind learning environment that you won't be able to find anywhere else. 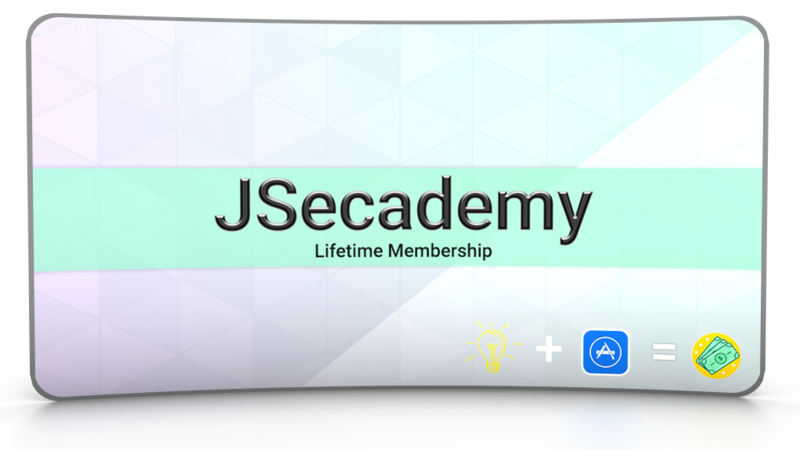 You'll get to benefit from the knowledge of all the members of JSecademy while simultaneously benefiting from the knowledge of someone who is already a Software Developer. You will get over 60 "hands-on" labs that you can work through on your own time and really master the skills that are required to become a Full-Stack developer. The labs include small programming challenges, reading technical documents and coding samples are included within the labs. Each of the labs is designed to be self-contained, that means you can pick up any lab and get to work without having any previous knowledge of any other lab. This course is the sum total of the wisdom that I have gained as a Full-Stack Developer who had to struggle, fail, self-experiment to finally reach eventual success. If I had access to this course when I was 18 years old, who knows where I would be today with my career. I could have saved YEARS of frustration and failure. My number one goal is to help as many people as possible to transform into Full-Stack Developers. Software Development can really change your life not only if you just live in the US but if you live anywhere in the world. It sure has for me, it has shown me that there are other options. I want to keep the price for this course to be affordable for just about anyone that is willing to improve themselves could afford it. To put this in perspective, that's less than what you will pay for a single book. Are you ready to become a Full-Stack Developer? Learn the skills that are actually valuable and highly sought after? If you are ready to create a scalable, flexible, and reliable application and go from 0 to 60 , this is the course for you. In order to truly make a difference in the lives of others, I decided to begin to write about and teach what I had learned. I began to teach classes at a local college and created an online coding bootcamp, which now has over 500+ graduates. 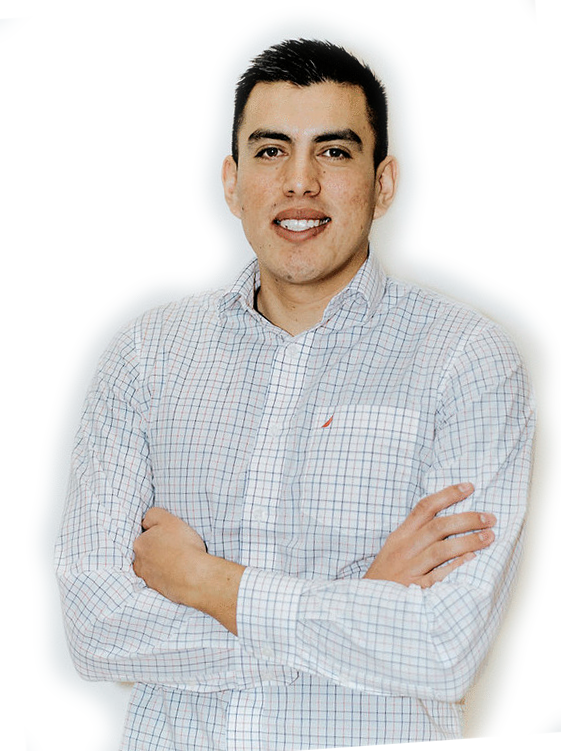 I became a published author, I started my public speaking career, I created a scaffolding framework, became a lead developer, won an award for “Best in Class” Bioinformatics Software, and successfully exited three software start-ups. "I made my dream growing up, into my actual reality!" I believe that the STEM field goes far beyond my life and skills behind a screen. I want to help others succeed and overcome challenges they may be facing. With the right information and education, I believe that anyone can reach their full potential and make their own dreams a reality. I post each and every piece of content and information with full confidence and ownership. I hold myself accountable to my work and what I share with you, and my hopes for my work is to create a positive, creative, and fun environment for visitors like you. I don't want you to pass up on this opportunity to sign-up for the course because of something silly such as fear of not knowing if it's "worth it". You have an amazing opportunity right in front of you. I know for a fact that your life will not be the same after you sign up for this course. I'm willing to put my name and reputation on the line. With everything that I do my primary goal is to help you achieve more. If you decide to sign-up for the course and if for whatever reason you feel it's not for you. No worries, I'll gladly refund you 100% of the cost no questions, and no hassles. Either way, all the risk is on me to deliver an amazing experience for you. Why is the course not free? 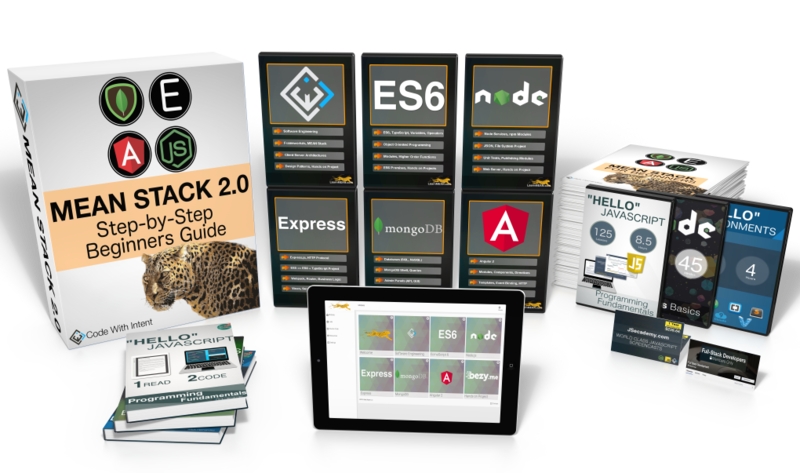 The internet is a noisy place, the MEAN Stack 2.0 course is a paid course because it delivers the results that you need to have to land the job or position that you are seeking to get. The payment for the course helps out by allowing us to provide you with follow-up emails, the private JSecadmey community, and bring all the resources that you will need to become a full-stack developer in the shortest amount of time. Are the lessons live or pre-recorded? Both! You get to benefit from learning at your own pace with the recorded lessons and be able to interact with Rick on the weekly live calls and get any of your questions answered if you get stuck or feel like giving up. How old do you have to be to register? Do I need to be in the U.S.A to sign-up? You can sign up for the course from any country. All of the lessons and live calls are designed and taught in standard American English. What if I sign-up and want a refund? No problem! We will gladly refund you 100% of the cost of the course no questions, and no hassles. 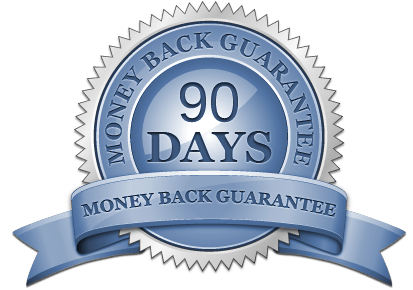 You have a Risk-Free Lifetime Money Back Guarantee. If you want to request a refund use the admin portal process at https://www.learnmean.com/lms/refund. Refunds take 2-3 business days to process. What if I miss the live call? No worries, you'll still be able to ask questions and have them answered. If you can't ask them live, you can submit your questions and have them answered in the next call. All the calls are recorded via video and will be available for viewing afterwards as well. How much time do I need to spend each day? You can expect to spend between an hour or two each day learning about becoming a Full-Stack Developer. The lessons are straight to the point to make sure no time is wasted. On average MEAN Stack 2.0 students finish the course in 4-months and enter the workforce afterwards. Will there be any other expenses? Nope. There won't be anything you're required to purchase other than your course enrollment fee. Everything else will be provided for you. I don't yet know how to code. Will this help me? YES! Understanding the process of creating programs will better help you understand how they work and more importantly how you can use it in your profession. Can I download the lessons to my own computer? YES! All lessons are available for download in 1080p, 720p, and 480p. What if I'm a student can I get a discount? If you are a student and can't afford to sign-up for the course send a message to Rick at [email protected] and he will personally hear your story about why you can't afford it and create a plan for you to get you the resources to make this a reality. I work full-time, is it a good idea to sign-up? Yes! The course was built with flexibility in mind allowing you to complete each of the modules on your own schedule. All live calls are recorded for later viewing. You won't miss a single thing. Then enter your payment info on the next screen and click the Join Now button. 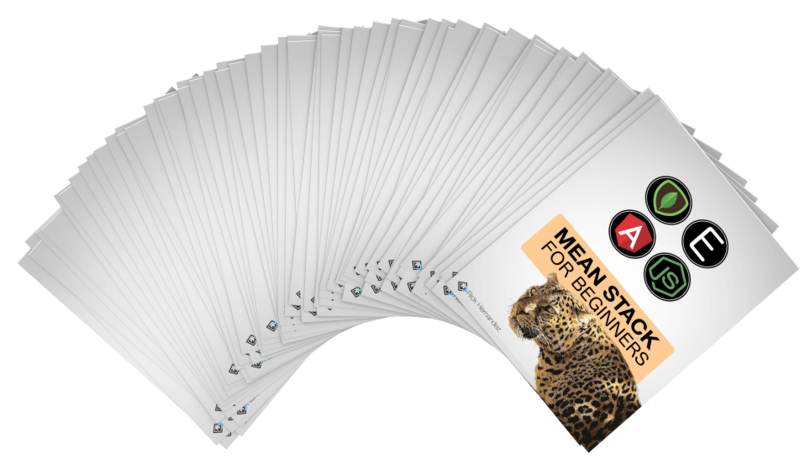 You’ll get instant access to the MEAN Stack Step-by-Step Beginners Guide course. And I’ll walk you through everything you need to know to become a Full-Stack Developer. You’ll cut out all the wasted time and effort from traditional learning. You’ll get the confidence that it takes to be a Full-Stack Developer. And you’ll finally be free to chase your dreams as a Full-Stack Developer. Copyright © 2019 JSecademy.com. All Rights Reserved.